An otherwise chaotic and austere settlements of Agra are quelled by the regality, grace and grandeur of Taj. 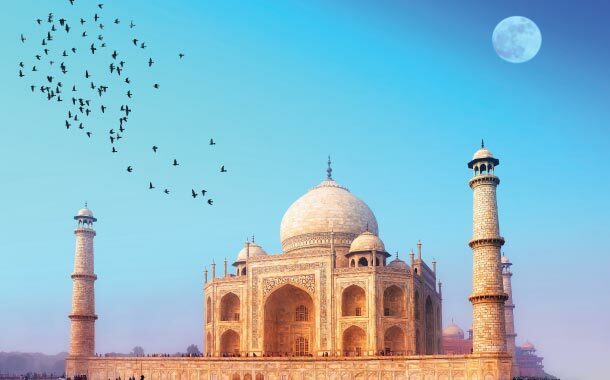 A symbol of eternal love, Taj Mahal lies peaceful and soulful in the touristy and discordant hub of Agra. While Taj Mahal is the cynosure of all eyes, Agra Fort is pizzaz with its classical Mughal architecture. There are beautiful Mughal gardens, and not too far from Agra, lies the ancient city of Fatepur Sikri. If you have some more time in hand, Mathura is worth a visit as well. Standing tall among a dense verdant Aravalli forest, Neemara Fort hails from the 15th century, from where Prithviraj Chauhan III reigned for years. 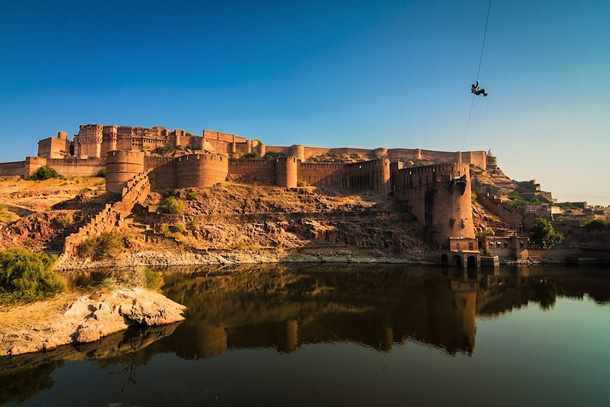 The foreboding structure of the fort rules the entire landscape, and its Rajputana architecture with a hint of colonial touch wins everyone’s heart. The fort now is country’s top resort for luxury living and a palatial escape reminiscent of the royal reign. 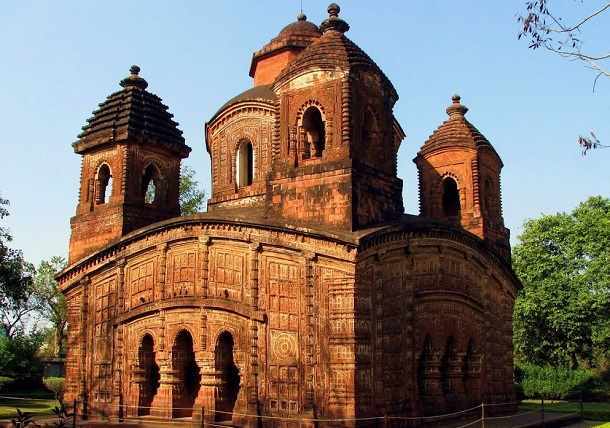 Proliferated between 16th and 19th centuries under the reign of Malla kings, Bishnupur boasts of dainty terracotta temples. These temples bear artistic blends of Bengali, Islamic and Oriya styles that recite tales from Ramayana and Mahabharata. A museum nearby is a refuge to ancient relics, friezes, painted manuscript covers, musical instruments and folk-art gallery. If you are already in Bishnupur, then you must make it a point to visit the Baluchari silk handloom and pottery centres. Shantiniketan was founded in 1901 by the Noble Laureate Shri Rabindranath Tagore, whose vision was to make this small town into an educational hub. Today, it has become the nucleus of Bengal’s art and culture. The campus was developed into the Visva-Bharati University, with an emphasis on the study of liberal arts as well as humanity’s relationship with nature. You can even visit the Uttarayan Complex, an art gallery and museum with some delightful architecture, which is a major attraction out here. A verdant reserve camouflaged in the mountainous depths of Western Ghats, Bhandardara is an escape from the cacophony of Mumbai. 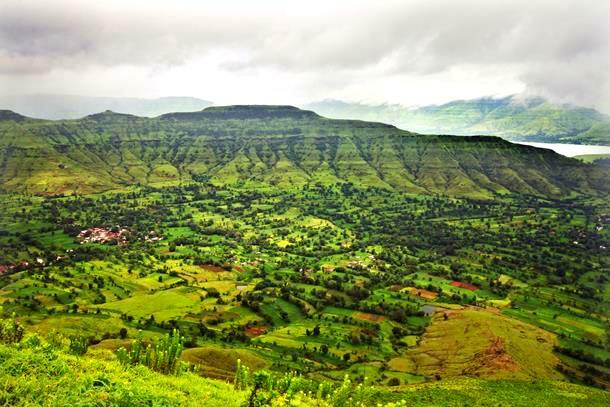 Just a three and half hours drive from Mumbai will land you in a place that is nothing but an eternal emerald paradise. A camping site near the Arthur Lake or trekking to forts nearby is how your weekend will look like. 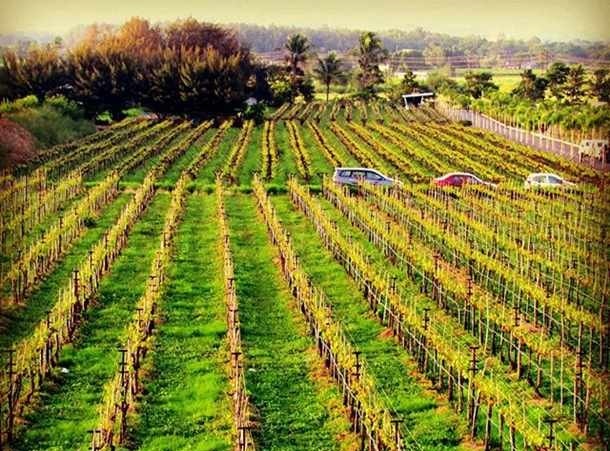 Nestled in the burgeoning city of Nasik, Sula Vineyards are a peaceful escape from the touristy pilgrim spots that flock this city. With impressive vineyard and wine tasting tours, an escape to Sula is all about class, luxury and style. Their rooftop cafe offers breathtaking views of the vineyards; an evening promising some wind in your with a gorgeous view. 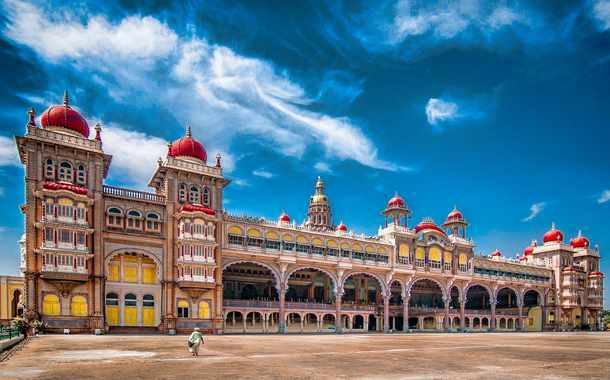 Wrapped in the glory of heritage palaces, adorned with beautiful gardens, garbed in the divine aura of the temples, Mysore evokes memories of India’s royal times. The trace of sandalwood and exotic silk in the air feels like being in the times of Maharajas. Lately, Mysore has evolved into an international yoga destination. But none of that touristy hullabaloo takes away the good old charm of Mysore. An ancient site located in a small village of Mandal in Andhra Pradesh, Lepakshi holds cultural importance due to its connection with the Vijayanagara empire that ruled from 14th to 17th centuries. It is most well-known for having India’s largest monolith statue of Nandi. It also has a fascinating naga-ligam, a linga crowned with a seven-headed cobra. 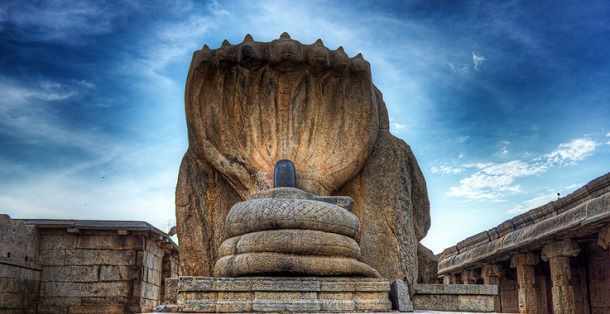 While actually located in Andhra Pradesh, Lepakshi is closest from Bangalore. 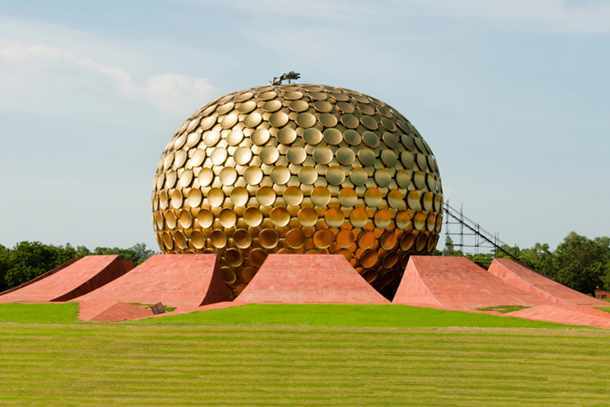 A golden sphere rising on a pitch-green ground radiates a spiritual overtone on the entire township. It is a reflection of global community living, where one exchanges ideas and skills, imparts knowledge, for humanity is the only religion they believe in. This international township welcomes everyone with arms wide open. More than 50 nationalities reside here in peace and harmony. 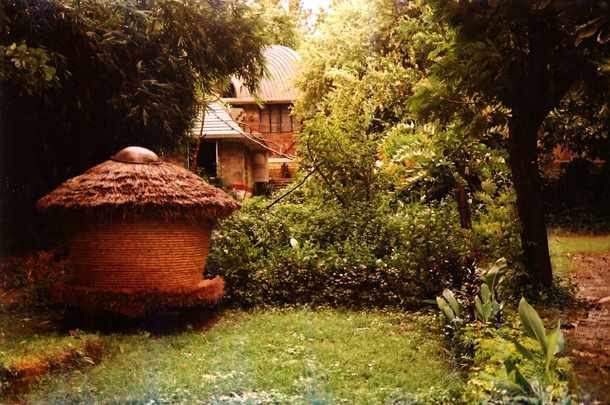 Sustainable living and environmental issues are addressed here everyday. A journey into this township will open up your mind and restore all your faith in humanity.